I have just arrived home from an amazing week in Cassis. Cassis is located in the South of France along the Cote d'Azur. Cassis has been described as a secret and undiscovered area of France, and it is certainly one of the most beautiful places that I have ever been to. As you can see from my photographs, Cassis is such a beautiful Mediterranean fishing port that is full of life. I am creating a short blog series of my week in Cassis. 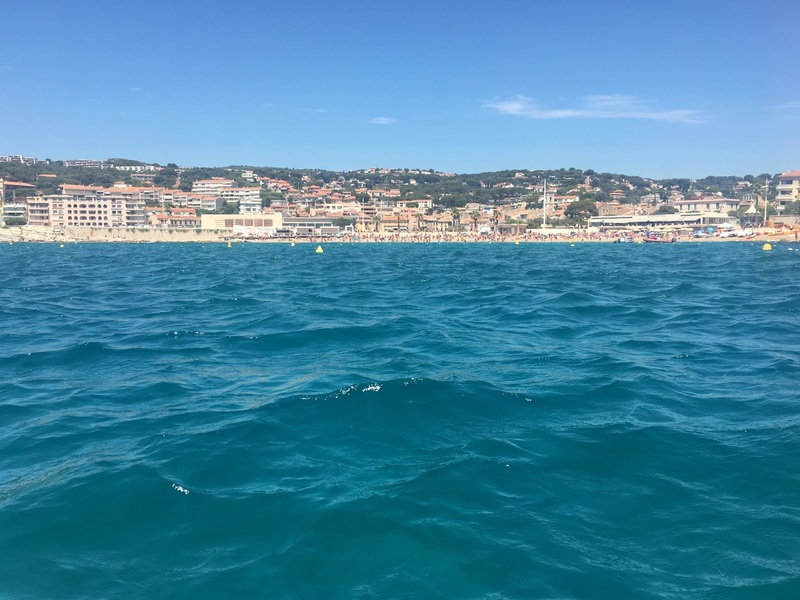 For part one, in this blog post, I am going to share with you some of the many different things you can do during your time in Cassis. Cassis is such a beautiful area in the South of France, and it is the ideal place for plenty of hikes and walks. There is a large array of different natural wonders, and wildlife in Le Parc National de Cassis. ne of the most famous walking routes in Cassis is called Le Petit Prince, which is dedicated to Antoine de Saint-Exupery who died for France. The route allows you to discover Les Calanques for about 2 hours, and it is a great way to see the true beauty of Cassis. In the town centre of Cassis there is a beautiful, picturesque port, with rows of boats and pastel-coloured houses. Here you’ll find plenty of cafés, restaurants, and boutiques to enjoy. As you walk out of the harbour there are beautiful narrow streets that wind through old fishermen houses that have been made into beautiful homes or some delicious restaurants that you can try. The microclimate of Cassis means that it is a perfect region to produce plenty of beautiful wine. The region produces about 75% white wine, 20% rose wine and 5% red wine. During my week in Cassis I visited two vineyards; Le Clos la Madeleine et Le Clos de l'Albizzi. Both were lovely, and very different experiences. We visited Le Clos La Madeleine one day for a wine tasting and vineyard tour experience. After realising that we had to ring the bell to enter the vineyard (after standing outside a pair of huge gates for about 10 minutes), we met our tour guide and waited in the gardens for the tour to begin. Our tour guide took us around the vineyard, the processing area, and into the cellar whilst talking through the process of how they make their wine (in both French and English). The tour ended and we were welcomed into a small room to taste a range of their delicious wines. The experience was great, and the wine tasted amazing. The second vineyard we visited was Le Clos de l'Albizzi on the Thursday evening. This time we arrived at the vineyard for a delicious tapas meal with wine, instead of a wine tour and tasting experience. I am planning to write up a blog post focussing on eating out in Cassis, so keep your eyes peeled for that very soon to hear about my experience at Le Clos de l'Albizzi. Boat Trips are a great way to explore Les Calanques which is a series of coves located in Cassis. We took a one and a half hour boat trip out across the Mediterranean sea and it was so much fun. The views of the sea, Les Calanques and Cap Canaille (the famous headland in Cassis) were amazing! However be warned. I decided to convince my family (my mum, step-dad, sister, auntie, nan and granddad) to sit at the front of the boat because I thought it would be the best seats to see the views, to sit in the sun and to take photographs while on the boat trip. They all agreed with me and we sat up at the very front of the boat. The boat started and we were on our way, flowing through the sea, and everything was lovely. Suddenly we hit the rougher patch of the sea, and the boat started bouncy over the waves. Everyone who was sat at the front of the boat (where we were) were getting drowned by the waves. 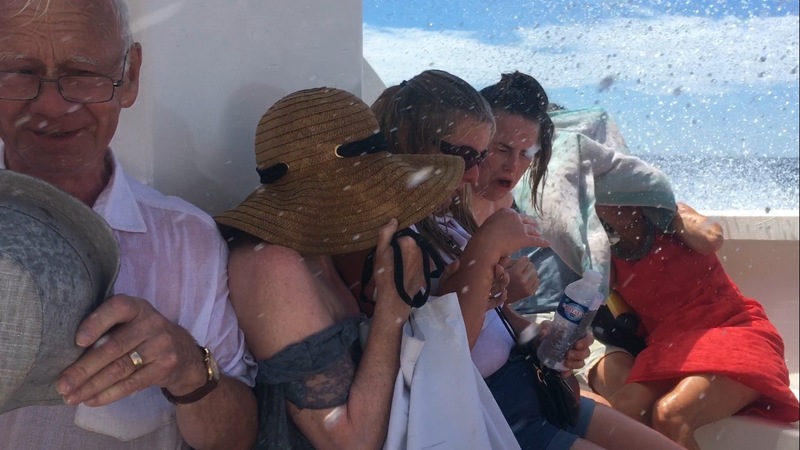 I couldn't stop laughing, and I was in absolute hysterics as I watched my family get soaking wet and clinging on to the boat for dear life (I guess I have an evil streak in my humour...). The boat journey was amazing and probably one of the highlights of my holiday, even though I had to ring out my shorts when I got off! Cassis is not only a little fishing village in the South of France, there is also a large Casino located in the centre of the town and a nightclub. Both are great for a night out, especially in the summer when there are events going on, and at the weekends. It is hard to not notice the medieval castle situated upon the cliff above Le Port de Cassis. The once medieval castle is now a luxury hotel, so it is no longer open to visitors unless you decide to stay there. However my family and I decided to walk up to the castle to see the views of Cassis. After getting stuck at several dead ends, we finally found a path that lead us to a beautiful view over the sea, Les Calanques and the town. Of course I enjoyed taking lots of photos! There are great water sports opportunities in Cassis too. Whether it be taking out paddleboards or pedalos at Le Plage de la Grande Mer, or going on a kayak or canoe through Les Calanques. Water Sports are so much fun, and they are great to do in such beautiful clear blue water. My family and I decided to take Le Petit Train during our first day in Cassis. This small tourist train is a great way to stay cool for an hour whilst being taken around Cassis to do some sightseeing. We figured it would be a great way to see Cassis for the first time, and to figure out what places we wanted to explore. Cassis has lots of lovely beaches, which are perfect locations for swimming, relaxing and sun bathing next to the blue Mediterranean sea. La Plage de la Grande Mer is the most popular beach right next to Le Port de Cassis, however there are several other more quieter beaches located along the coastline too. I must admit I love a good market. I love looking around at all the beautiful items for sale, and I love to pick up a few bargains too. The market is on twice a week, however there is also a night market which is open every evening. There are many sellers selling all sorts of products, food and clothes. I bought a beautiful French silver anklet, a pair of sunglasses, a pretty gold necklace and some sandals. The market sellers were so friendly and helpful, and I was very happy with my purchases. There is also the opportunity to hire bikes, electric bikes or segways to take on numerous paths and routes around Cassis, or to ride around the town. You can hire the bikes and segways at the Tourist Information Centre which is a place that I would highly recommend visiting if you are ever in Cassis. Overall it is clear to see that there are plenty of activities and things to do in Cassis. It is such a beautiful place, and a perfect destination to travel to. Looks like such a beautiful French location!